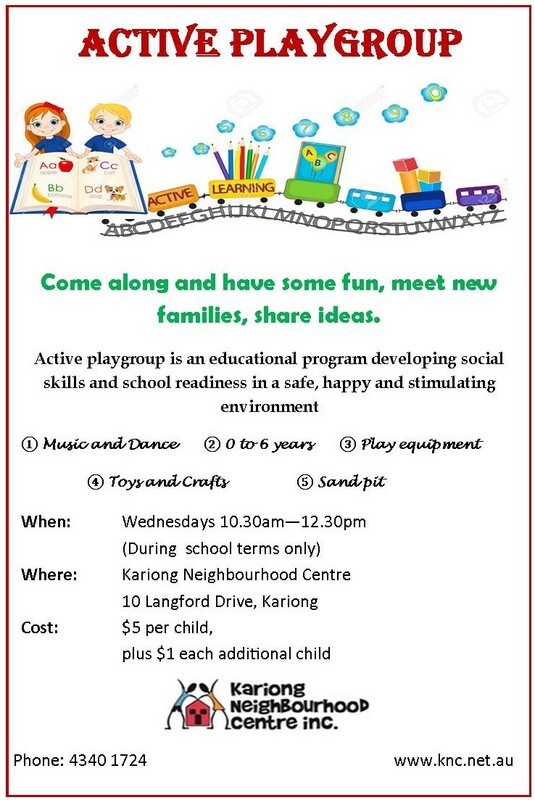 Join us for Active Playgroup, with music, dance, exercise, toys, craft & school readiness. Come along, have fun and meet other families. An educational program in a safe, happy & stimulating environment. Play, learn and engage with your children. When: Wednesdays 10:30am – 12:30pm.